I suppose it was made official after a morning spent at the DMV; I am now a New Jersey resident. 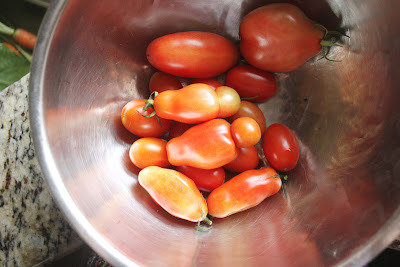 So I thought I might celebrate by sharing a recipe made with garden state grown tomatoes. Some of the more interesting looking tomatoes were put into a batch of marinara with fresh basil and oregano, and the finished sauce was pretty delicious. Clean and prepare your fresh tomatoes and set aside. In a large stock pot, heat the olive oil on medium-high heat. Sweat the onions for 4-5 minutes, or until they are translucent, and then add in the garlic and cook for 2-3 minutes longer. Add in the fresh tomatoes and cook for 3 minutes while stirring so that nothing scorches on the bottom of the pot. Add in the canned tomatoes along with two cans worth of water. Add in the dried herbs and seasoning, bring to a simmer and then drop the heat to low. Let this simmer for 6-8 hours, making sure to stir occasionally. Once it is close to being finished, add in the fresh herbs. Let this simmer for 10 minutes and then take off the heat and let cool. Take a hand blender, or a regular blender working in small batches, and puree until everything comes to a smooth sauce consistency. 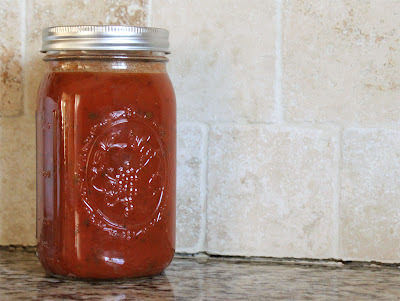 Prepare your jars that will be used for canning, about 5-6 will be needed for this recipe, and bring the sauce to a simmer again. Following these directions, can the sauce and let cool. 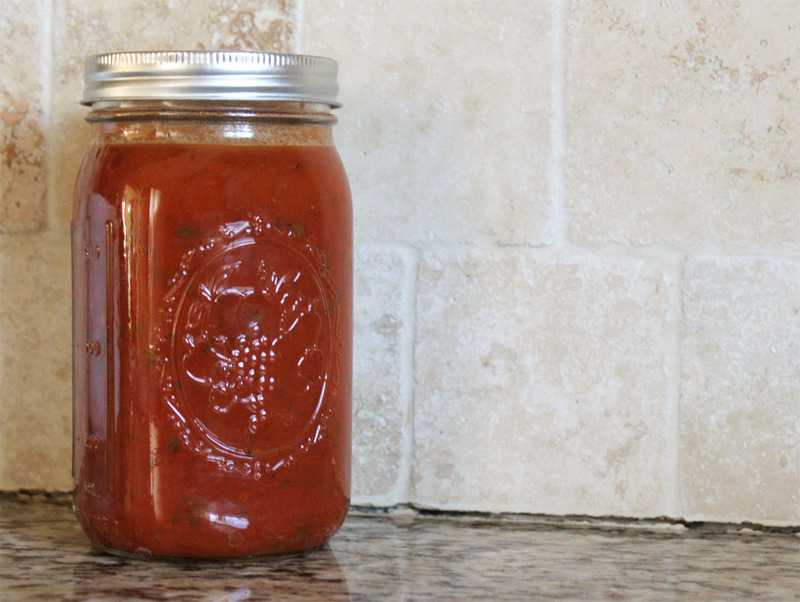 If you don't have the supplies, you can always freeze the sauce in gallon ziplock bags. You know our address is 6459 N Rico Road be sure and pack the jars good so the jars dont leak. Congrats on the DMV trip---you go girl! The marinara recipe looks tasty.